With Stanton's, BB-Qs can be as fancy or as casual as you desire. 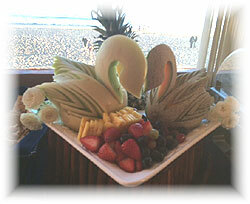 Full service weddings and celebrations with all the trimmings to luaus, theme parties, and company BB-Qs the food always looks and taste delicious. 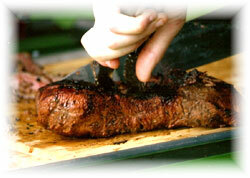 Just wait until you try Stanton's marinated tri-tip; carved to order and then dipped it's like no other. Choose from our menus or customize your own. 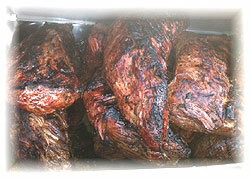 *Other barbecues available: Pork Tenderloin, Pork Loin, Kabobs, Steaks, BBQ Ribs, Seafood, Corn, Etc. When planning this year’s company barbeques, parties, or any other special events, please give me the opportunity to help you. 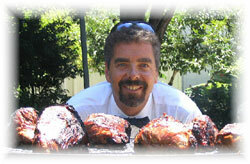 I am a high quality service oriented caterer with very affordable prices. I look forward to working with you. * tax, Gratuity, and Rentals not included/On-site chef and server charges apply.